An encounter with the death of another is often an occasion when the bereaved need to be sustained in their loss, relieved of the anxiety that the meeting with death engenders, and comforted in their grief. It is a time when those left behind often seek to redress wrongs in themselves or in the relationships that death has shaken and upset. In both collective and individual responses to the trauma of encountering death, we witness efforts to counter the misfortune and to explain the meaning of the loss, to turn memory into blessing, to reconcile life with death, to regenerate life, and redeem both the bereaved and the dead. Sometimes loss may transform the bereaved in ways that lead to growth and maturity; other times a loss leads to unremitting anger or melancholia. There may be a variety of spiritual expressions that the bereaved experience in their time of loss, but there appears to be some common elements in all of them. Overtime, survivors' feelings are transformed into growing exploration of the spiritual, a profound sense of rebirth, newfound feelings of self-mastery or confidence, and a deeply held conviction that "life goes on." The contributions to this volume are based on a conference held in New York on the first anniversary of September 11, 2001. Contributors include Peter Metcalf, Robert Jay Lifton, Ilana Harlow, Robert A. Neimeyer, Samuel Heilman, and Neil Gillman. 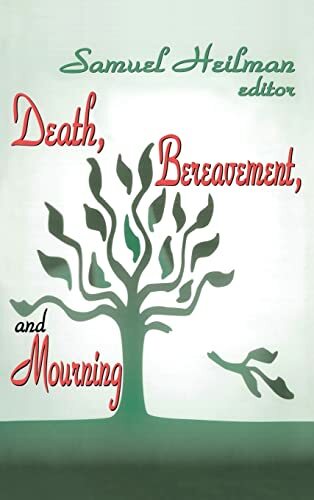 This sensitive and heartfelt volume relates specifically to issues of death, bereavement, and mourning in the aftermath of the attack on the World Trade Center, but the applications to other individual and catastrophic events is obvious. The contributions do not simply explore how people deal with bereavement or are psychologically affected by extreme grief: they address how people can try to find meaning in tragedy and loss, and strive to help restore order in the wake of chaos. The multidisciplinary perspectives include those of anthropology, psychology, theology, social work, and art. Samuel C. Heilman is the Harold Proshansky Professor of Jewish Studies and Sociology at the Graduate School and University Center of the City University of New York and on the faculty of Queens College. He is the author of The People of the Book, The Gate Behind the Wall, A Walker in Jerusalem, and Synagogue Life: A Study in Symbolic Interaction (available from Transaction).